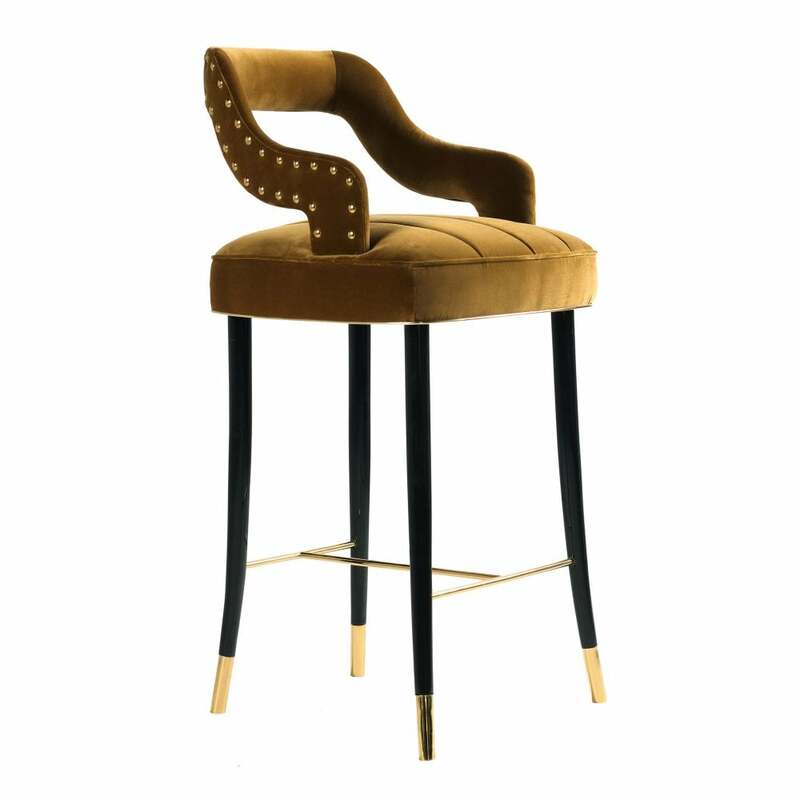 A glamorous addition for a kitchen island or home bar, the Kelly Bar Chair is inspired by the actress and Princess, Grace Kelly. Renowned for her style and elegance, Grace Kelly continues to influence fashions and trends today. Part of the Century Collection, Ottiu’s talented designers created a stool with a mid-century modern shape and premium quality finishes. The backrest and seat are upholstered in a smooth cotton velvet and supported by long, tapered legs in a glossy black lacquer. The dark wood and luxurious fabric is complemented with delicate accents of gold and polished brass studding. The contours of backrest provide maximum comfort making the Kelly Bar Chair perfect for any contemporary living set or luxury commercial space. Shown here in an on-trend mustard velvet, choose from a range of fabric and colour options. Make an enquiry for more information. Priced for Upholstery: Ottiu Fabric. (USD) Structure: Beechwood, lacquered legs with high gloss varnish. Details: Polished brass accents, polished brass nails.